On November 12, 2013, the United States Environmental Protection Agency (EPA) released an Administrative Law Judge (ALJ) decision ordering Respondent Elementis Chromium Inc., f/k/a Elementis Chromium, LP (Elementis or Company), to pay a $2,571,800 civil penalty for violating Section 8(e) and Section 15(3)(B) of the Toxic Substances Control Act (TSCA). The decision is available online. 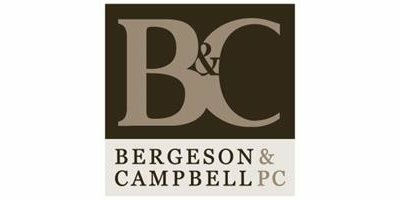 Although the case is highly fact-specific, the decision, if upheld under any potential appeal, may be used potentially to support an expansion of Section 8(e) reporting requirements and thus is important for companies to understand when reviewing certain data for Section 8(e) reportability. Q.2. If a company obtains new human exposure-related information on a chemical it manufactures, such as blood or urine monitoring data on a chemical known to have serious toxic effects, is it reportable under TSCA §8(e)? A.2. Yes. If the new information on a chemical known to have serious toxic effects indicates a level of exposure previously unknown to the Administrator, it should be reported. Information that corroborates known exposure levels, such as those within the range of chemical blood levels and other biological monitoring data recorded in the NHANES (National Health and Nutrition Examination Survey) data base, is not reportable. See EPA, 'Toxic Substances Control Act (TSCA) Section 8(e) Notices: Frequent Questions' (last updated Sept. 17, 2013), available online. EPA guidance also states: 'The discovery of previously unknown and significant human exposure to a chemical, when combined with knowledge that the subject chemical is recognized or suspected as being capable of causing serious adverse health effects (e.g., cancer, birth defects, neurotoxicity), provides a sufficient basis to require the reporting of the new-found exposure data to EPA under section 8(e).' Id. The substance at issue in the Elementis decision is hexavalent chromium, a data-rich substance identified by the International Agency for Research on Cancer as a Group 1 carcinogen. The opinion states that '[t]he association between lung cancer mortality risk and exposure to hexavalent chromium 'goes back at least 30 years.'' Opinion at 57. This study adds to a limited but very recent body of scientific studies of occupational exposure to chromium compounds that attempts to quantitatively characterize chromium chemical exposure and subsequently quantify the risks associated with these exposures. As with the other recent studies, this study is intended to help fill the critical gap in the published literature on which a scientifically sound risk assessment for hexavalent chromium may be based. Though all of these recent studies, including the present one, suffer from methodological limitations (especially sample size and data on potentially confounding factors such as smoking), they represent the best available scientific evidence of the relationship between chromium exposure and human lung cancer risk. Elementis did not submit a copy of the draft report to EPA under Section 8(e); the decision discusses the Company's position that when a comparison was made between its and the Gibb Study, Elementis did not think its study 'showed something that was so much different[,] that it was showing [something] that was completely unexpected or was an effect that was much severer than what had been expected before.' The opinion notes that the Company had a number of opportunities to submit the study and did not, including: when the report was issued in final in October 2002, when the report was revised and reissued in final in April 2003, when the Occupational Safety and Health Administration (OSHA) in a Federal Register notice requested occupational exposure information on hexavalent chromium, and later when the Company submitted comments to OSHA in December 2004 regarding a proposed permissible exposure limit (PEL) of 1 µg/m3 (although it was eventually submitted to OSHA after the time period when new information should have been submitted). Although the ALJ acknowledged that 'no party disputes the fact that the two studies show the same general trend, i.e., that as exposure increases, so does cancer risk,' the ALJ nonetheless found that 'the preponderance of the evidence shows that despite these commonalities, the Final Report nonetheless presents new SRI [significant risk information] about occupational hexavalent chromium exposure.' Opinion at 38. [I]f TSCA Section 8(e) only covered 'statistically significant' risk information, in practical terms that might mean that only studies of extremely large cohorts would have the statistical power to show a risk important enough to be reported. That is clearly not the appropriate reading of 'information which reasonably supports the conclusion that [a] substance or mixture presents a substantial risk' in TSCA Section 8(e), as the above analysis demonstrates. 'Information' in Section 8(e) is a broad term employed to keep the Agency as informed as possible about chemical risks. To the extent Respondent relies on 'statistical significance' as the hallmark of SRI to support its argument that one finding is the only SRI in the Final Report, that argument must fail. Opinion at 48. This case, if upheld, arguably provides a broad view of TSCA Section 8(e) reportability with regard to exposure assessments, epidemiology studies, or other similar studies considering the potential number of different factors involved in such studies that could result in information -- other than big picture, statistically significant conclusions -- being considered reportable. This case is, however, highly fact-specific; the opinion includes approximately 25 pages of detailed factual background and highlights in those facts the multiple opportunities the Company had to review the data and decide not to report under Section 8(e) (or submit to OSHA regarding the proposed PEL even though the study was commissioned because of interest in what data OSHA would be relying upon to establish a revised PEL). The facts in this case may well limit this decision in a way that makes this opinion less influential as general guidance on what constitutes and does not constitute corroborative information. This case also is important because of the $2,571,800 penalty imposed, which is ten percent larger than what EPA proposed. Since Section 8(e) violations are assessed on an ongoing, per-day basis, the Elementis decision is another illustration of EPA's disturbingly consistent practice over the years of assessing multi-million dollar penalties for Section 8(e) violations. No comments were found for Regulatory Developments - ALJ Decision Imposing Large Fine for TSCA Section 8(e) Penalty May Provide New Guidance on What Constitutes Corroborative Information under Section 8(e). Be the first to comment!